Contract extensions are all the rage at FC Barcelona. Gerard Piquéput pen to paper on Thursday to ensure he’ be staying at the Camp Nou until 2022, and on Friday it was the turn of Sergi Robertoto do likewise. 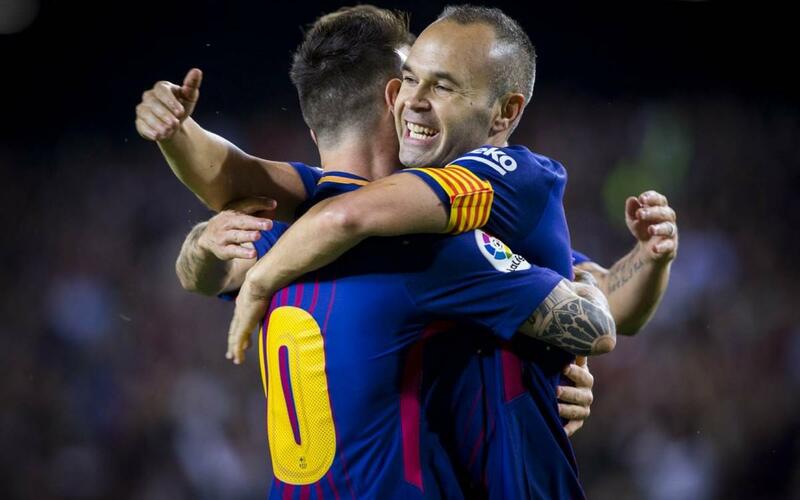 That’s four new contracts signed this season, following on from Andrés Iniesta and Leo Messi, and all within the space of just three months..
Iniesta was offered an unprecedented lifetime deal with FC Barcelona, while on November 25, the Argentinian superstar formalised the agreement already made verbally in July. He’ll be wearing blaugrana until at least 2021. We can also add the name of Carles Aleñá, who is officially part of Barça B but regularly features in Ernesto Valverde’s selections. He’ll be staying at Barça for three more seasons, but two further years can automatically be added to that should be promoted to the first team on a full-time basis. And what do all these names have in common? Every one of them is a product of the famous La Masia academy, as is Sergio Busquets, who is already tied to the club until 2023. A number of other key members of the squad officially agreed to stick around for longer in 2016. Luis Suárez and Ivan Rakitic will both be staying until 2021, and goalkeeper Marc Andre Ter Stegen will be giving us at least another five years of service, through to 2022. The future of FC Barcelona is in very safe hands – and feet!